Over fifty quilters attended an organizational meeting at the Cokesbury United Methodist Church in September 1983. The meeting, arranged by Dixie Haywood and Hope Susko, resulted in appointed officers who led meetings until bylaws were approved and permanent officers elected. The guild’s commitment to community quilts started immediately with bed quilts for the new Ronald McDonald House. Another popular community service, the Traveling Blocks, was started by Julia Wernicke. Members made quilted and bound blocks to use for hands-on programs at area schools and for other groups. Julia also set up the Frame Basting Committee to help members baste their quilts, following a demonstration by Dixie at an earlier program. Originally conducted at meetings, frame basting is now held on a separate day as the need arises. Our first quilt show was held in March 1985 at Washington High School, establishing a biennial tradition of quality shows. In 1988 Agnes Adkison and Jean Chance proposed establishment of the Memorial Fund, financed by individual donations and a percentage of the show’s profit. The fund awards grants to members for various projects. They, in turn, report on the results by presenting a program to the guild. The fund also provides the Arlene Gutzeit Meticulous Workmanship Award at each quilt show. The guild’s Museum Replica Collection was established in 1993. These miniature quilts replicate antique quilts are in local museums and were made by members as part of a joint effort with Historic Pensacola, Inc. to survey and conserve the quilts in their collections, a project partially funded by the Memorial fund. 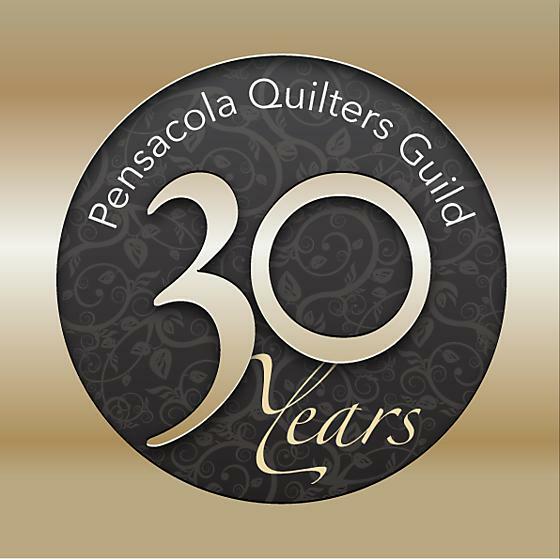 The popular At-Home-In-The-Guild program was established in 1995 by Agnes Adkison to raise funds and to increase fellowship. Members teach their specialty to a small class in their home or other convenient location, with the nominal class fees going to the guild. The original bylaws established both day and night chapters, but the night chapter was discontinued after a year due to low attendance. In 1999, then President Dixie proposed trying to re-establish it. Cena Harmon accepted leadership of the project and in 2000 started an enthusiastic night chapter.